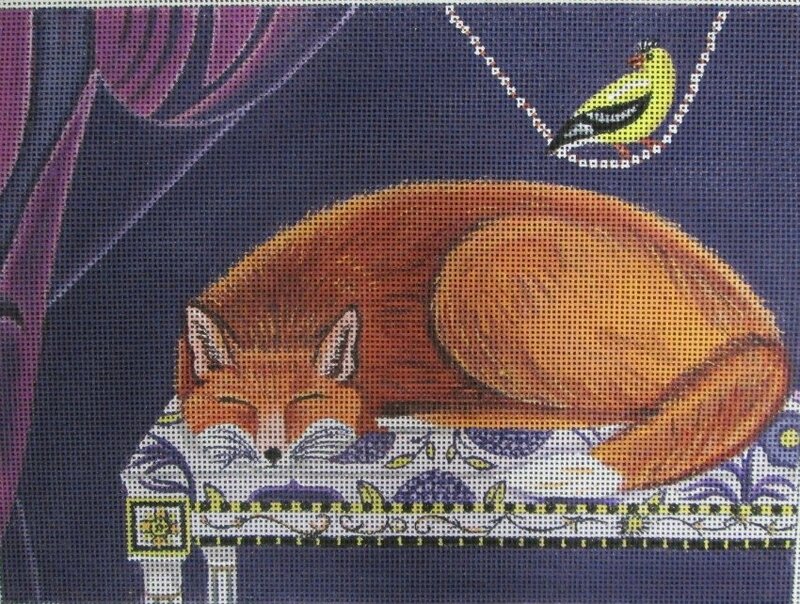 This whimsical fox needlepoint design is by the artist Catherine Nolin. The needlepoint design area measures 12" x 9". This fox needlepoint design comes with or without fibers. If you select cotton we will send DMC cotton floss. For wool and silk we use Planet Earth boutique fibers which are single-ply for 13 mesh and easy to stitch with. This Silent Observation fox needlepoint canvas usually ships within 48 hours. Please notify us if you need it within a specific time frame.